This section includes a selection of example scripts as answers to scripting questions from customers that are of general interest. - How do we delete music and movies from network computers? - Can I collect installed memory to detect which computers needs be upgraded? - I don't know who owns which computer. Can this somehow be mapped? - Our office documents do not always have correct user information. Can this be fixed? - How can I backup SQL Server files? - Citrix XenApp Installation Manager was removed on Server 2008. Any ideas? - How can I detect old log files and email them to someone in a zip file? Q: How do we delete music and movies from network computers? Simply insert a single line anywhere in the logon script for example and fill in your own desired file patterns. All directories in the users' profile will automatically be traversed in the example above. 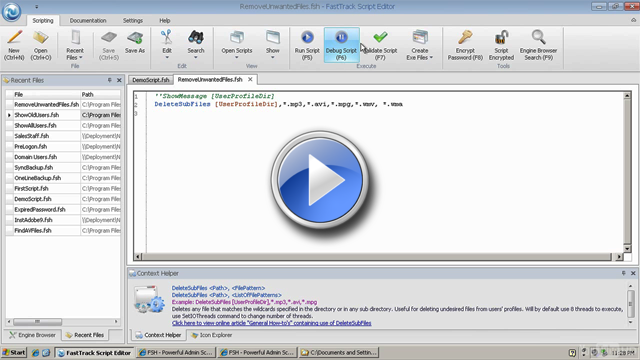 Click the play button below to watch a demonstration of using the DeleteSubFiles command. Q: I don't have a management system. Can I collect installed memory to detect which computers needs be upgraded? A: Information like physical memory, free disk space, operating system, last logged on user and such are all part of the information uploaded to SkyBox. Simply issue the UploadInventory command in your logon script, and you have all the information available in your inventory web. 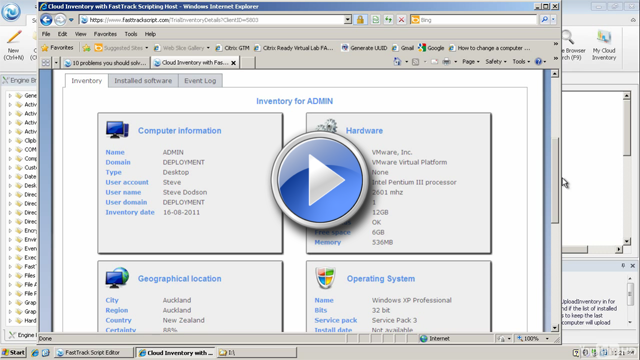 Click the play button below to watch a demonstration of using the UploadInventory command. Please refer to this article for more information on SkyBox. You can also watch a live demo of the inventory web with fictitious data here. To see InventoryXML in action, please click the video below, which will also demonstrate how to upload events to your inventory. As it is a single XML file for all computers, each machine will only be listed once, as the values are just overwritten when the same client performs another logon. This means that after an upgrade is performed, the value will be corrected at next logon for each computer, as it also would with the InventoryXML example. All XML files generated can easily be imported into excel for further processing. There are built-in functions for collecting the most common system information. Most of these are listed under "Hardware" and "Operating System" in the Engine Browser tree in the script editor. This means that adding more lines to the above example, you can collect information like network adapter speed, age for the computer (Windows installation date), type of computer (desktop/portable), number of processors, free disk space, operating system, service pack version, etc. To collect uncommon information, use the WMIQuery function to perform a select operation through Windows Management Instrumentation (WMI). Q: I don't know who owns which computer, which is frustrating. Can this somehow be mapped? A: This information is part of the information uploaded with SkyBox. Simply issue the UploadInventory command in your logon script, and you have all the mappings available in the inventory web. Please refer to this article for more information. 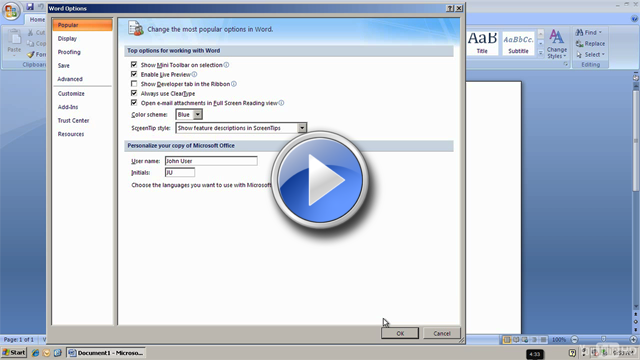 Click the play button below to watch a demonstration of the above examples. Q: Our office documents do not always have correct user information. Can this be fixed? A: Yes, simply insert these three static lines in the logon script for Office 2007 or newer. If the user edits the information, it will be overwritten at next logon. 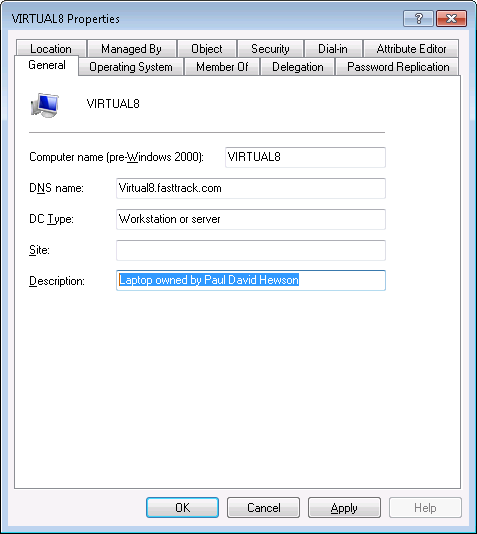 For Office 2003 or older, the user information is stored in the a version sub-key instead of the "Common" sub-key. Click the play button below to watch this demonstrated live. Q: How can I backup SQL Server files? A: There are a number of ways to backup SQL Server files. The easiest way is to simply use the ExecSQL command. To learn about how to interact with SQL Server and use the ExecSQL command, please refer to the Interacting with SQL Server page. In most cases, a history of X days of backups is preferred, to be able to restore partial data inside a database. If a backup runs every night and there is only one backup set, then it's not possible to restore data that were deleted the day before. The example below is an example, where a new backup is created on each run and sets are deleted, when they are older than a configurable number of days. Note that the script below is available directly in the script editor. Go to the "Documentation" tab and select "SQL Server Backup" under the "Insert Example Script" submenu. To make the script run at certain times, simply create a new scheduled task on the server and point it to the script file. Another approach is to stop the Sql Server and simply backup the database files with SyncDir in a service window. This approach could be preferred when there are many databases located at the same location, as there would be no administration on backup scripts. It may also be the only realistic option on huge databases, because SyncDir will do block-level copying of changes. LogEvent Backup,SQL Server backup successfully complete. Citrix XenApp Installation Manager was removed on Server 2008. Any ideas? In this case we are from each server connecting a share located on \\AcmeServer\CitrixAdm$, where there is a script called Controller.fsh in the "Installers" folder in the root. This script would contain the actual logic to install applications that are not already installed and could optionally publish the applications to users from executing command-line commands on successful installation. Automated installations for such a script are explained on the general installations page. To deploy the bootstrapper script above to all your servers, the script must be compiled into an .msi package. Compiling a script into a scheduled task inside an msi package is explained on the msi generation page. Note that the compilation supports randomization hours to spread the load. It would be a good idea to set the randomization hours to for example between 1am and 5am, meaning that each server will call the central script at a random time within this timespan. Once the bootstrapper is compiled into an msi, simply assign a software installation through a group policy to all your servers. How can I detect old log files and email them to someone in a zip file? You can insert the below example in the script editor by selecting "Zip/EMail Old Files" in the "New Script" window. The script will look for files older than the number of days specified in the "AgeInDays" variable, in the folder specified in the variable "FileFolder". These files are moved to a temporary folder (variable "WorkingFolder") and zipped (variable "ZipFile"). The zip file is then emailed using the settings defined in the second section. Set SenderName = "Acme Corp"
Set Body = Please find files older than [Var AgeInDays] days attached.